The importance of having the best backpack for travel cannot be undermined. Any traveler will know for sure that all things necessary must be in your backpack for your own comfort and convenience. Whether you are planning to climb Mt Everest or you’re going to another fix places and destinations, you need to bring only the best backpack that suits your particular needs during your travel. 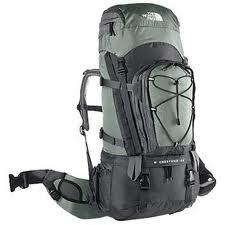 The size of your backpack will depend upon the purpose of your travel, its duration and your destination. Remember that everyone’s needs and body size differ, and it is a good idea to first fit or test out the backpack to determine whether you’re comfortable with it or not. Consider if the straps are placed well on your shoulder and does not unnecessarily rub the back of your arms. Is the hip belt in alignment with your hips? Are you comfortable if the bag is bigger than you? In other words does it fit? One must know the weight limit of the things that you will bring along with you on your trip. This is for your own convenience and mobility. Of course, no one wants to travel carrying a heavy load on his or her back. 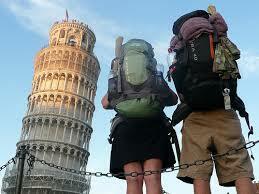 Travel light and easy is the byword of every backpacker. Normally your travel bag should not weigh more than 15kg. 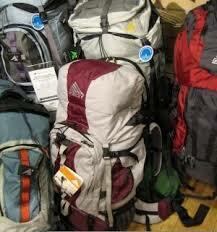 The ideal weight is approximately between 7kg (for light packers) and 13kg (for average packer). Men’s packs are way different from women’s. You must also remember that aside from this, there’s also the Junior size (for children or for young adults) or Unisex (backpack that can work for either male or female) backpack. What should you choose — a top loader or side panel backpack? This will depend upon your preference and needs and the functionality and design of the panel access. Whatever you choose between these two the bottom line is creatures comfort and convenience. Does the brand of backpack really matter or is it merely for the status symbol. Well everybody has a sort of loyalty to his or her favorite brand. The same is true with the backpack. What is clear and certain is that different brands of backpack have its own special features to offer. Some of the features you need to look into that goes with the backpack are: if it is made of materials which are water resistant, shoulder harness, compression straps, hip belt, and sleeping bag compartment among other things must be considered. Backpacks are not cheap. Remember that your backpack will be your travelling companion during the duration of your trip and it will serve as the safe place where you store all of your belongings and needless to say you need a backpack that will last during your trip. Your backpack for travel is different from the kind of backpack you use in school. The wise consumer focuses on the specific quality of a given backpack in relation and in comparison with other backpack brand available in the market. Quality item in other words. Durability is the ability or capacity of your backpack to endure over a certain period of time or longer usable life of your backpacks from the time you purchase and start using it. As traveler you don’t want to be a victim of theft or someone opening your backpack. So you need to consider the kind of lock zippers in the backpack you’re planning to buy and its other safety features. Travelling light and travelling nice and easy for your own comfort and convenience is just an easy thing to do and this is doable by simply considering the 10 tips shared on how to choose the best backpack for travel. Bon Voyage.